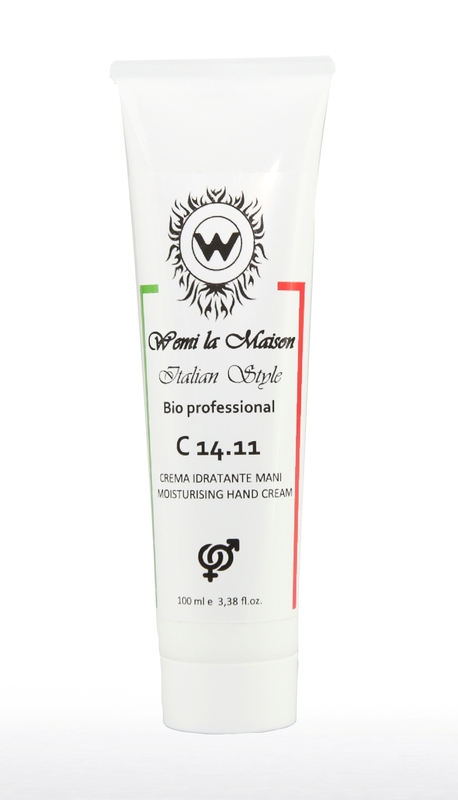 The specific formulation of C 14.13 is non-greasy and readily absorbed, moisturising dry skin and relieving the feeling of fatigue after a busy day. The presence of tea tree and peppermint essential oils plays a purifying, perfuming and refreshing role. Aqua, Caprylic/capric triglyceride, Cetearyl alcohol, Glycerin, Coco-glucoside, Arachidyl glucoside, Arachidyl alcohol, Behenyl alcohol, Tocopheryl acetate, Mentha piperita herb oil (*), Melaleuca alternifolia leaf oil (*), Avena sativa bran extract (*), Eucalyptus globulus leaf extract (*), Panax ginseng root extract (*), Helianthus annuus seed oil (*), Prunus amygdalus dulcis oil (*), Panthenol, Menthol, Allantoin, Xylitol, Limonene, Lactic acid, Phenethyl alcohol, Caprylyl glycol.